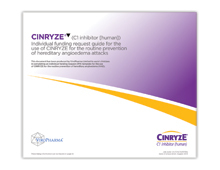 Cinryze was launched in March 2012 as the only licensed treatment for routine prevention of Hereditary Angioedema (HAE) attacks with no supporting NICE guidance (not appraised due to its rarity). Following its launch, challenges in achieving funding meant clinicians had difficulty in prescribing Cinryze for appropriate patients. Policy change and a lack of prescriber understanding about the new centralised NHS England Individual Funding Request (IFR) process for tariff-excluded medicines meant few funding applications were successful. The delivery of a funding support strategy and toolkit gave prescribers the confidence and understanding to effectively apply for funding, resulting in a 236% increase in prescriptions. Payer understanding of the impact of this debilitating condition has improved and, importantly, patients with the more severe manifestation of HAE have gained access to the medicine that their clinicians recognise as the most appropriate for their condition. This is a centralised marketing effort congruent with the decision-making process. 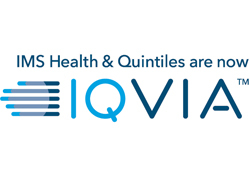 Through good insight into payer peculiarities in the market and multifactorial objectives, this produced great outcomes. In an area focused on payer engagement, it helped doctors to navigate the health system and wider environment to improve outcomes. The team spoke to the customers in their language, and recognised that at this point in the life cycle it’s about so much more than features and benefits.